It was Merlot the Chileans were after, back in the day. Unbeknown to them, they got Carmenere vines as well. Stand in a vineyard, where both are grown mixed together and you can see a difference. The leaves of the flowering Camenere vines have a reddish hue (you can see it developing on some of the leaves in the picture below). The leaves of the Merlot do not. And – though not visible during my visit to Concha Y Toro‘s Peumo vineyard – the grapes ripen around a month later. Chile now considers Carmenere its signature grape. There is much debate in the wine industry over whether this is a smart move, given the country’s success with other more well-known (and related) grapes. 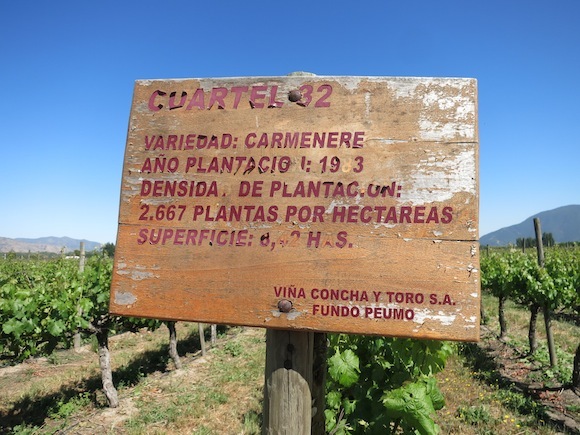 Only 9,000 hectares of Carmenere is grown compared with Cabernet Sauvignon’s 41,000. On the other hand, many producers around the world are working with Cabernet while few outside Chile are putting their weight behind Carmenere. The French more or less dropped it after phylloxera decimated many of their vineyards. Concha Y Toro winemaker Ignacio Recabarren is one of those credited with showing the potential of Carmenere, first with the Terrunyo label and more recently with their super premium Carmín de Peumo. His other speciality seems to be dealing with those who are less enthusiastic about the charms of Carmenere. 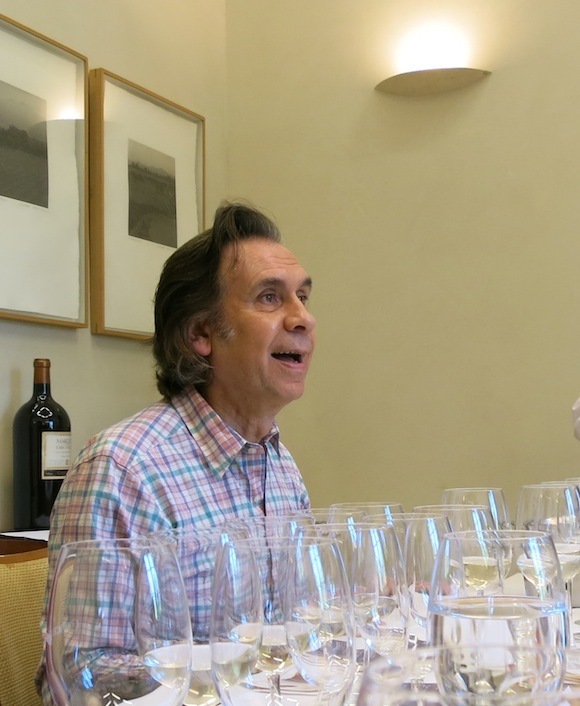 Faced with a small group of European sommeliers (and me), who were broadly neutral to the grape, he acknowledged that Carmenere can taste overly-herbal with green, raw tannins. “You need time to finish the cycle,” he said, referring to the fact that phenolic ripeness is vital for Carmenere to taste good. But in a warm year – and we’re talking Chile warm here – it can lead to very high sugar levels which in result in high alcohol. Slow ripening in a cooler year brings out the best, he added. And Concha Y Toro have what they believe is the perfect spot in Peumo, in the Cachapoal Valley. 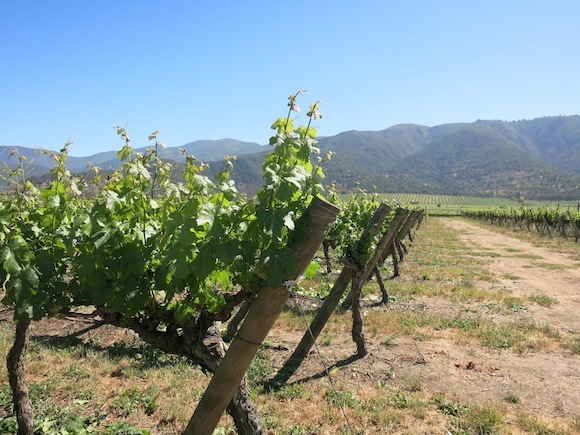 The Peumo vineyards, cocooned between Chile’s coastal mountains and the Andes, have their own climate. Warm days are tempered by cool nights, which allows for slower, more controlled ripening. That said, the Terrunyo Carmenere 2010 (a cooler year) still weighs in at 14.5% alcohol by volume. 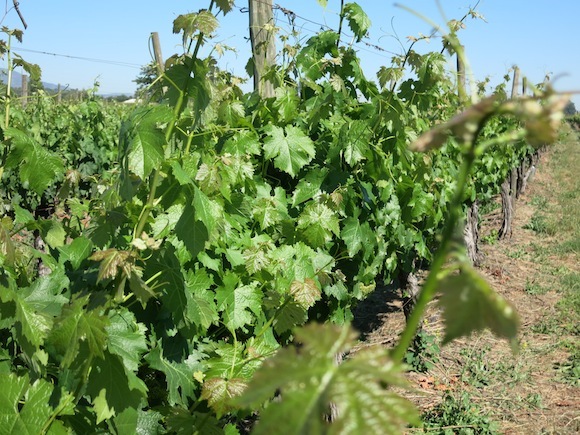 The deep alluvial moisture-retaining clay soil in Peumo is also considered very important to sustain Carmenere’s long growing season without having to water the vines, which can stimulate vine growth at the wrong time. Concha Y Toro believe that Carmenere does so well in clay, they carried out electromagnetic conductivity (EC) tests around the different blocks to discover the best place in the whole vineyard – block 32. Clay soil has high EC, and block 32 is where grapes for Carmin de Peumo, are grown. Only a certain amount of grapes from this block make it into the top wine each year. The rest go into Terrunyo (mostly grown in block 27) or the Marques de Casa Concha brand. 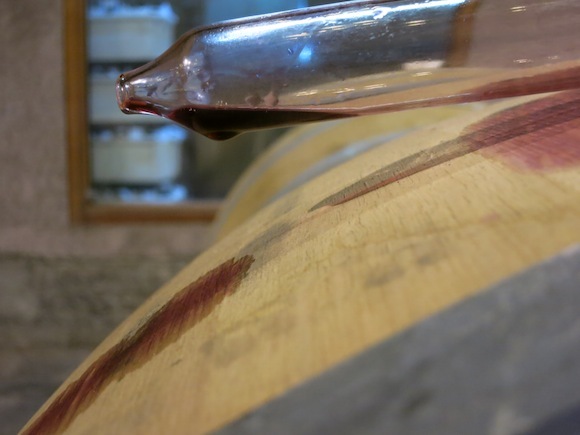 We tasted samples of wine from the 2013 harvest, which took place in June, later than usual. The one destined for Marques de Casa Concha was vibrant, full of bright, crunchy blackcurrant flavours and a noticeable white pepper kick. The sample from block 32 was more concentrated and already showing more complexity. Stripped bare, without the gloss from months in oak, the difference was clear. Carmín de Peumo hit the market in 2003 and has scooped up awards in the Americas ever since. The 2010 – with a little help from Cabernet Sauvignon and Cabernet Franc – felt polished, supple, intense and deft, with a memorable plummy florality. At a third of the price, though, the Terryuno Carmenere 2010 had opulence, complexity – and balance. I mentioned earlier its punchy alcohol level, but on both occasions I’ve tried it – once in Chile and once at home – I’ve smelt the fruit first, not the alcohol. That is a good thing. Pouring the Terrunyo Carmenere at home, the purple glints in the wine shone bright. It had an intense cassis aroma, with a smoky back note. It tasted of cassis too, with some pomegranate molasses, clove spicing plus espresso coffee and chicory which were more evident on the finish. “It’s the nicest Chilean wine I’ve had in a long time,” said Mr. SipSwoosh. Is Carmenere distinctive enough to be considered Chile’s signature grape? Well, if you consider the red grapes, I don’t think it’s great enough to take Cabernet Sauvignon’s crown, perhaps not even the young pretender Pinot Noir. I do, however, believe that it has more pizzazz than Merlot, and a damn sight more character than any Chilean Syrah I’ve sampled. Importantly, it delivers a point of difference in an world where grape diversity is narrowing, yet is made in a style that will please many consumers. And that is something to cherish. 2. I travelled to Chile courtesy of Concha Y Toro. 4. Carmín de Peumo 2010 is not available in the UK but earlier vintages are. Check Wine Searcher .